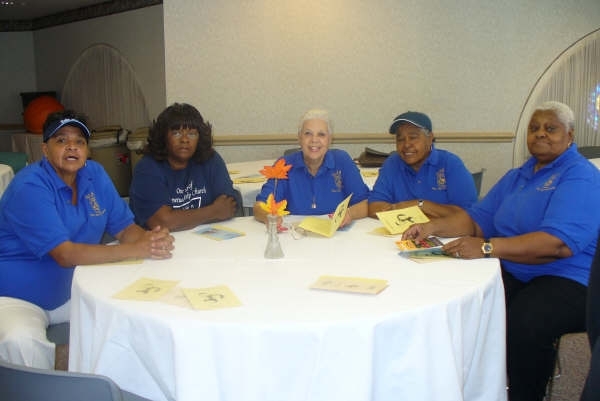 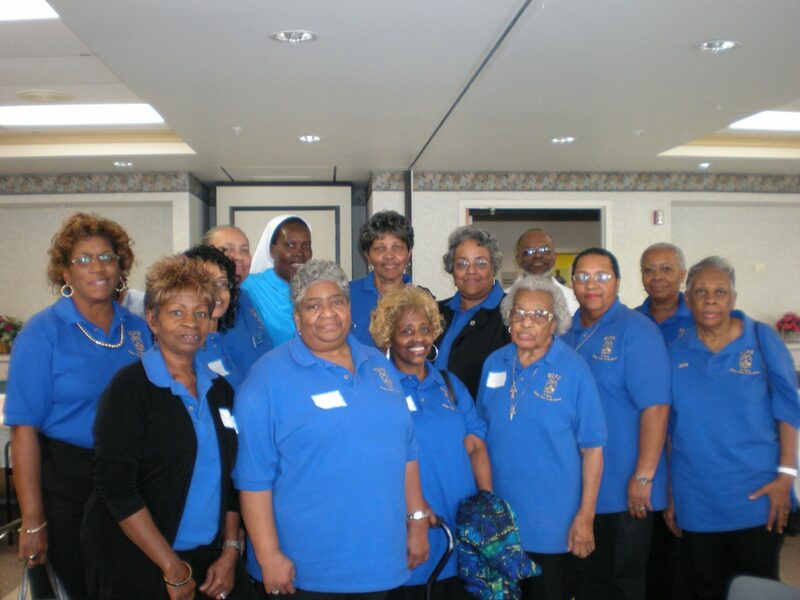 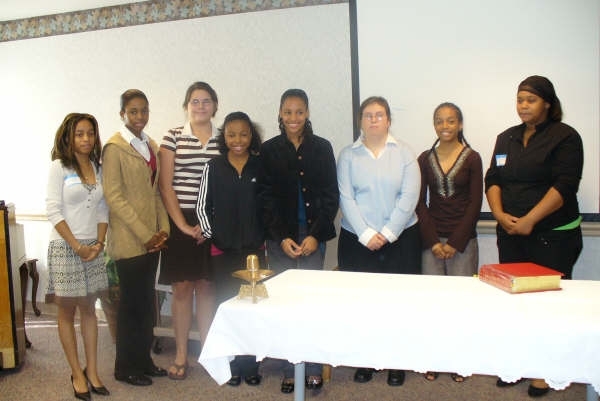 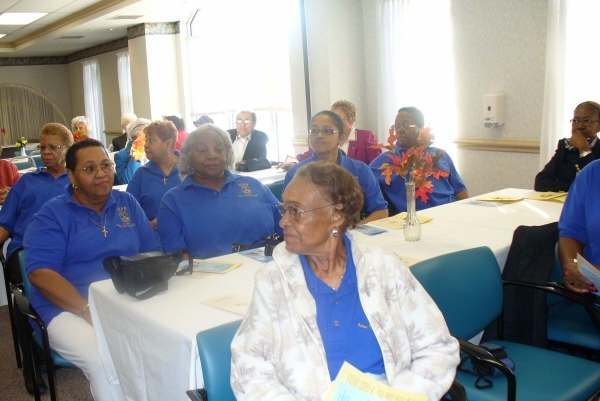 The Archdiocesan General Assembly was held on Saturday, October 11, 2008 at Carroll Manor. 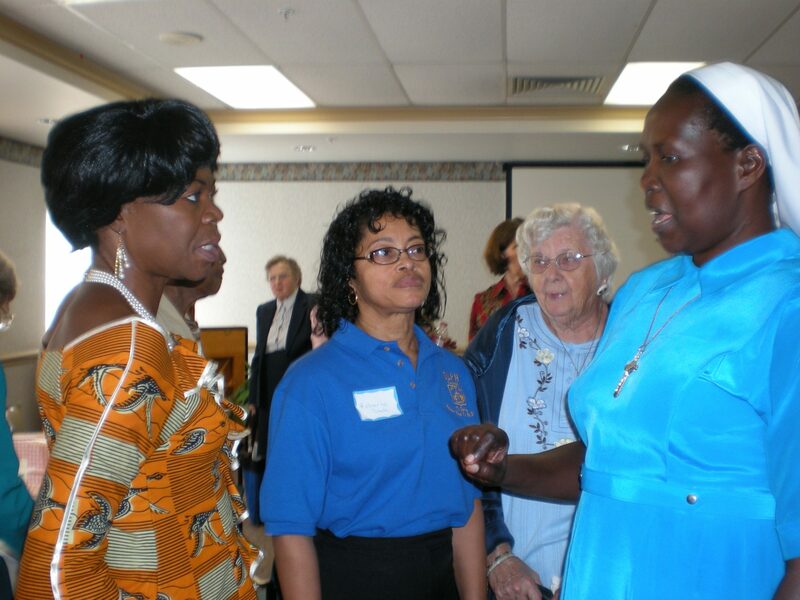 The guest speaker was Sister Pauline Silver Acayo who is a Peace Building Officer with Catholic Relief Services (CRS) in Uganda, Africa. 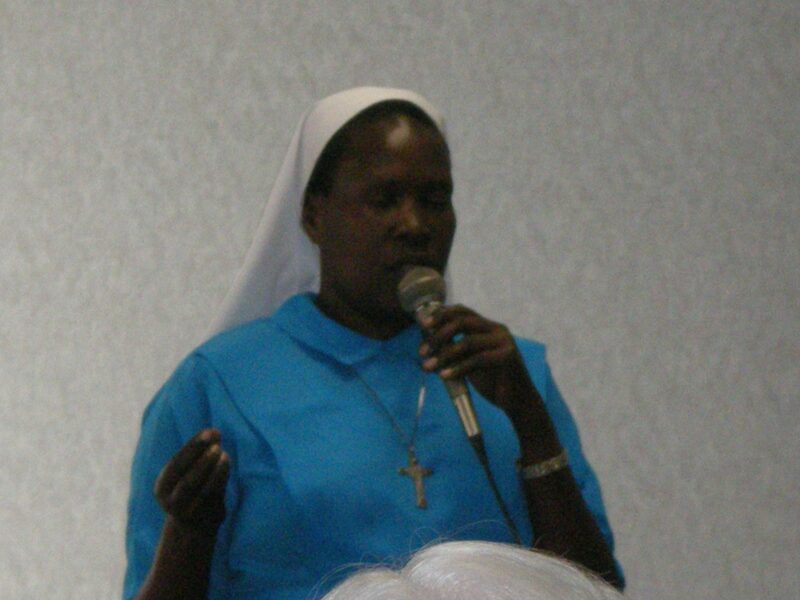 Sister Pauline gave a presentation accompanied by a slideshow of pictures giving the history of unrest in Uganda as well as the activities and progress CRS is making to help strengthen relationships toward reconciliation and conflict resolution within the country. 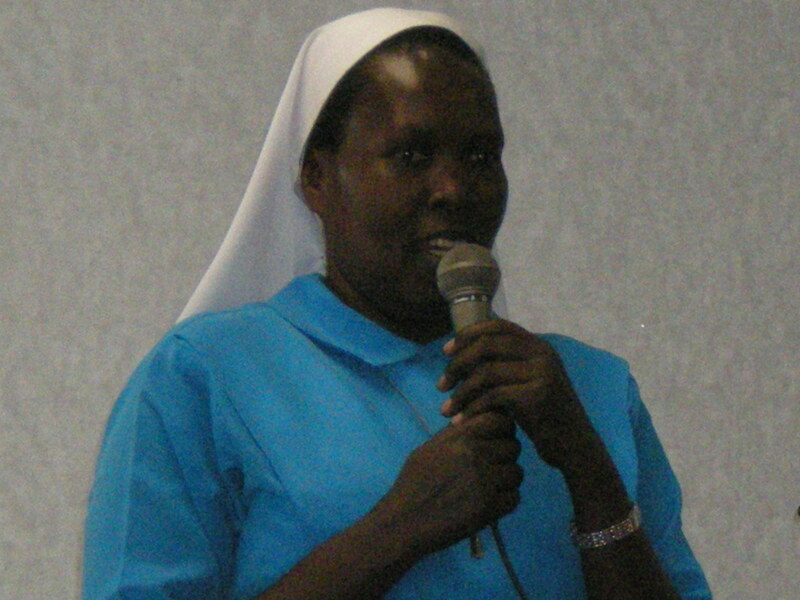 Northern Uganda has been plagued by war for over 20 years. 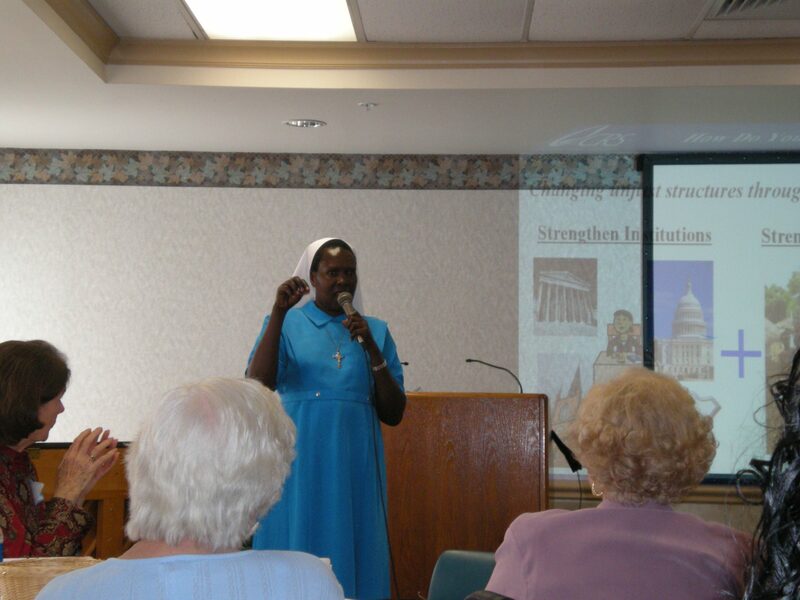 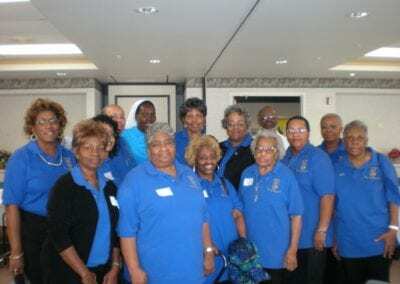 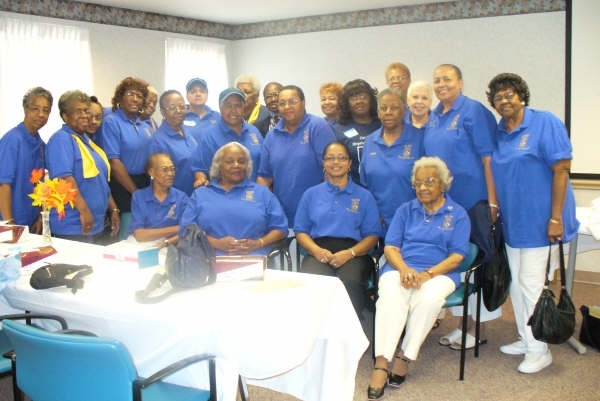 Pictured is Sister Pauline addressing the General Assembly and answering individual questions posed to her, members of the Junior Ladies of Charity in attendance and members of the OLPH Ladies of Charity.